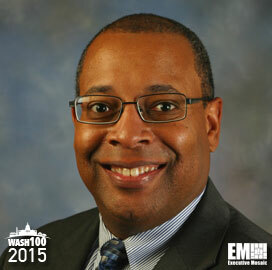 Executive Mosaic is glad to announce Christopher Jones, a corporate vice president at Northrop Grumman and president of its technical services sector, as the newest inductee into the Wash100 — a group of influential leaders in the government contracting industry. The 11-year company veteran leads an organization with more than 14,000 employees who provide logistics, sustainment, modernization, infrastructure and range operations, training and life-cycle support services in at least 250 locations around the world. Jones took both the corporate VP and sector president roles in January 2013 in a series of appointments that saw the Falls Church, Va.-based company name presidents for its other three sectors. His career at Northrop prior to that appointment includes roles such as sector VP and general manager of the integrated logistics and modernization division within Northrop’s technical services unit. Currently, Jones serves on Northrop’s corporate policy council and the board of directors of the National Action Council for Minorities. Prior to Northrop, he worked at Sikorsky Aircraft as head of rotorcraft technology analysis, testing and research and is also a former active duty officer in the U.S. Air Force and member of the Air National Guard in Connecticut. Executive Mosaic extends its congratulations to Christopher Jones and the Northrop Grumman team for their receipt of this award.